Sasha joined Foster LLP as a summer student in 2013, after summering with a prominent litigation boutique in 2012. Sasha practises in all areas of family law and is passionate about obtaining efficient and cost effective solutions for clients. Sasha has appeared before the Provincial Court of Alberta and the Court of Queen’s Bench of Alberta. Sasha obtained her J.D. from the University of Western Ontario in 2014. In 2010, Sasha graduated from the University of Calgary with a Bachelor of Arts in Psychology and a Bachelor of Arts in Religious Studies. Sasha graduated with the highest academic standing in the Eastern Religion Stream. 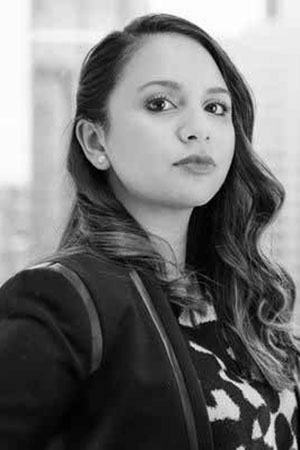 During her time at Western Law, Sasha was actively involved as the Co-Chair of the 2014 Western Law Games Committee, an elected student representative of the Student Legal Society from 2012 to 2014, and a Managing Editor of the Western Journal of Legal Studies. Sasha also volunteered with the Family Law Project in London, Ontario where she drafted documents and assisted individuals in need of legal assistance. Prior to attending law school, Sasha worked for Alberta Justice as a Case Management Clerk in Provincial Criminal Court. Sasha also worked as a Recreation Worker for Hull Child and Family Services, and has experience working with children of diverse cultural backgrounds and developmental delays. In her spare time, Sasha’s interests include reading, science fiction conventions, painting, hiking, basketball and travelling.